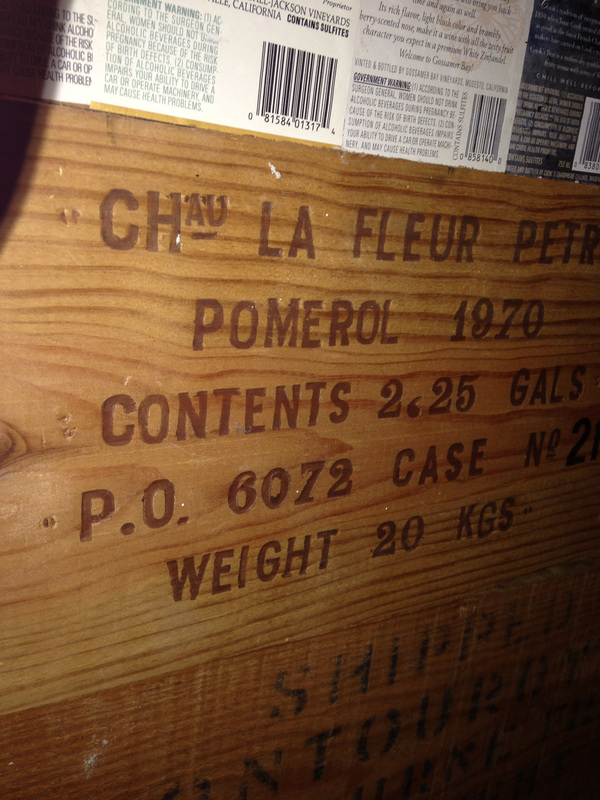 Wooden wine crates have a certain allure to me, from the good old days. Wines that were shipped from Europe took long ocean cruises and they had to be packed securely for the ride. 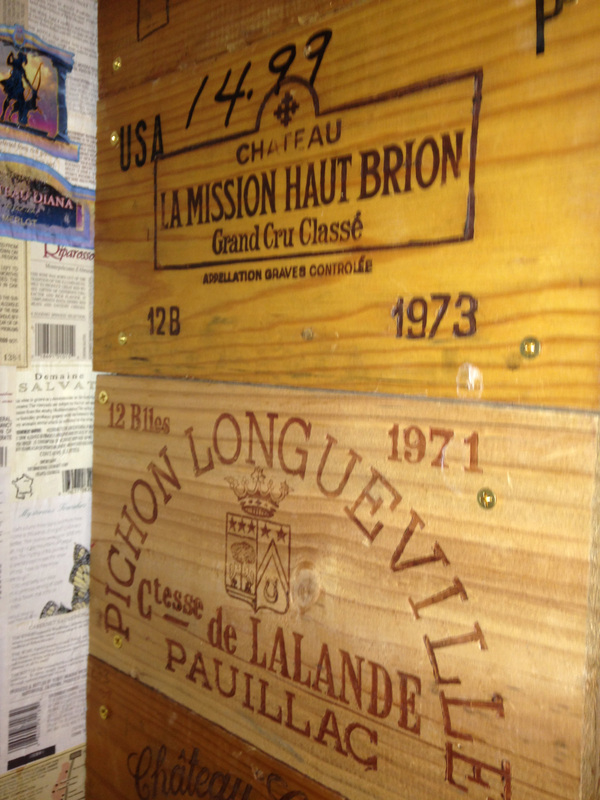 Mike at “Please Bring Me My Wine” pondered and queried what any one did with these empty wooden boxes. Of course I chimed in, as some of you, and of course my Bride may think that I am a pack rat. I probably am, but it came from being raised by parents that survived the Great Depression, and they instilled the concept, that something can always be used again. When I first started buying wines, when I was still a student in high school, I always tried to cajole an empty case from the wine shops if I could. 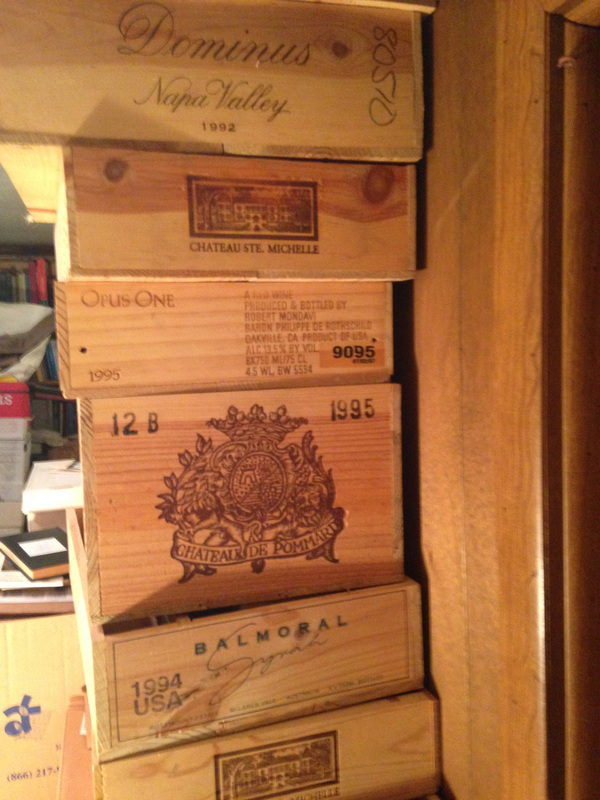 They were a simple way for me to safely store my purchases, because in the early days, I did not even have a simple wine rack, and of course, it did make getting a bottle to drink, more of a task, as I started to acquire more and more cases of wine. 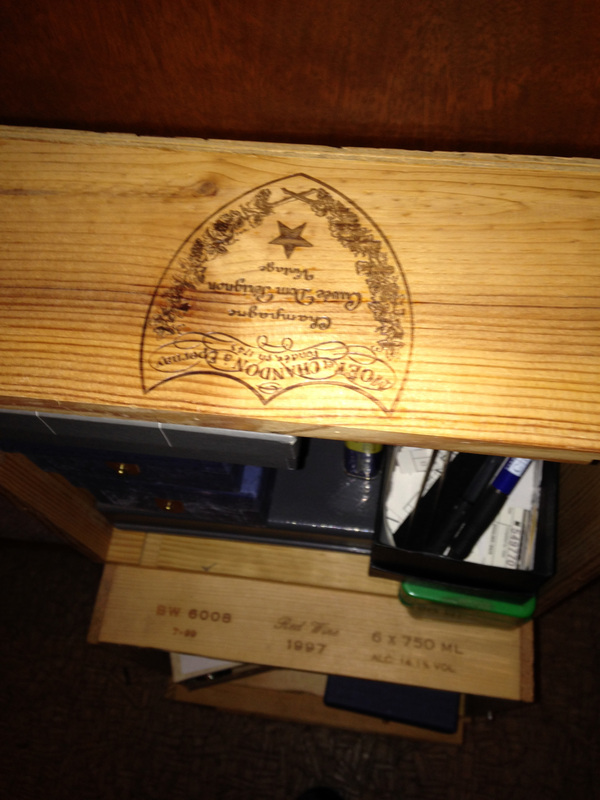 Some of the wooden crates had beautiful emblems burned into them with the names of some of the great wineries, and to me, it would have been sinful to just throw them away. So I started to envision what I could do with them, and then it dawned on me, they would make great paneling in my future wine cellar, so I started to acquire even more wine and more crates, when I could. My first house was an old house that had a coal room, that is how old it was, and from the first day that I went to use it, up to my last day in that house, I always found traces of coal in that room. 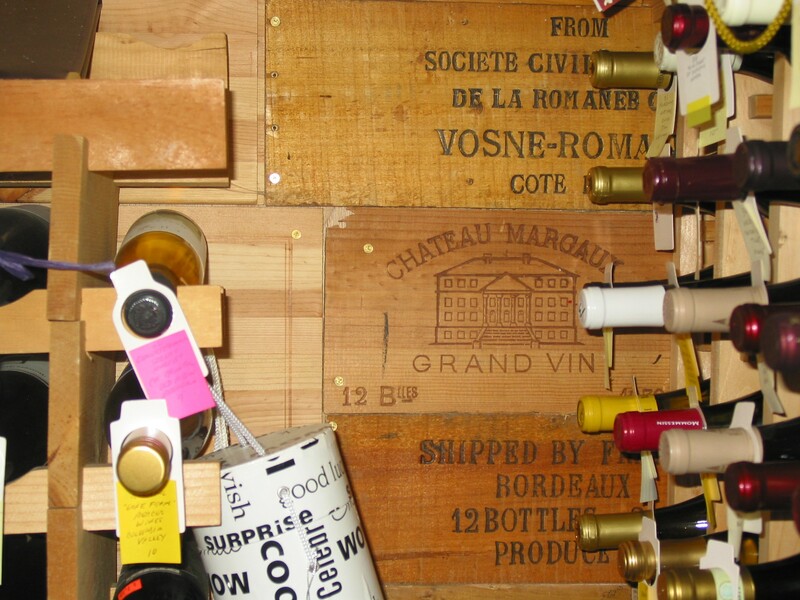 I started to dismantle the crates very carefully and then mounted them on wood slats in the room and I had my first wine cellar. It had a low ceiling as it was under the front porch, but the room stayed at a great temperature, back in the day, people would use these rooms under the brick porches as canning cellars, more often than wine cellars, especially where I grew up in Detroit. When I met my Bride and we started to make plans for a new life, I realized that I had to save all of those great pieces of wood, so I had to take them all down, and panel the walls again to sell the house, and then I had to move boxes and boxes of dismantled wine boxes to our new house. I started to make plans on where to build the new wine cellar, and then after we came back from a trip to Napa with more cases of wine then I knew what to do with, I had to start building in earnest. I am not a carpenter, but what I lacked in skill, I made up for with passion and ardor. We had found a company in Ohio and bought our first rack which was about eight feet long and six feet high, and it assembled like an old tinker-toy contraption. I ended up ordering another rack from the company and started drafting plans. I even designed one wall next to the entrance that was the size of the end crates, as I thought those that had some nice designs could be featured there. One wall was completely paneled with the wine crates, and two other walls had wine crates along the lower parts of the wall, almost like a wainscot. The walls that were left bare, from running out of wine crates became works of art, as I slowly but surely pasted wine labels as a sort of wall paper, until there was no wall space that was left that did not have a wine theme. 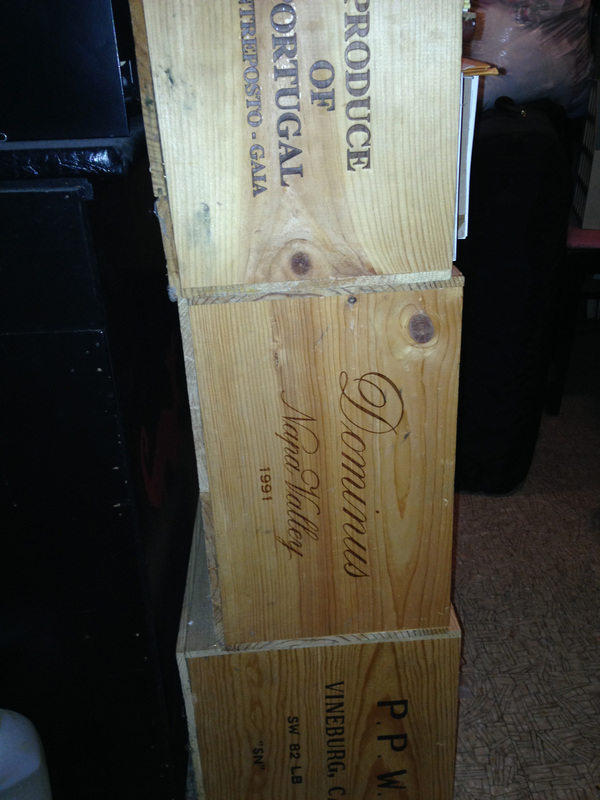 Later on, I acquired more wine crates, and for the moment they are being used as temporary book cases, as they are stacked one atop another against the walls, you just have to be careful what you put in them, as they are not as deep as a usual bookcase. They are still a great way to store things, until I can find another use for them. 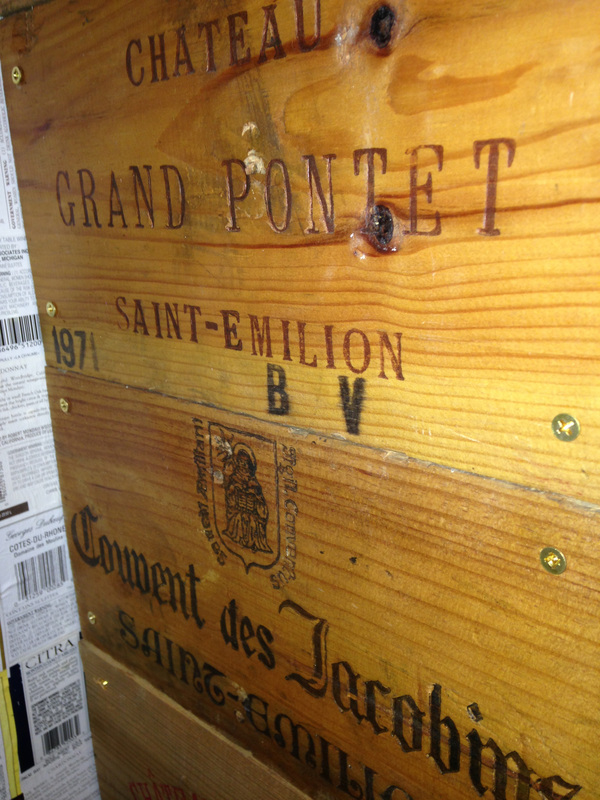 Just thinking of all that work, has given me a reason to go to the cellar and find something to quench my thirst.